Under-pressure Everton manager Ronald Koeman hopes the international break will provide some much-needed respite for his players. Sunday’s defeat to Burnley made it one win from seven Premier League matches and increased the scrutiny on the Toffees boss after a Â£140million summer spending spree. Everton are just two points above the bottom three, having drawn their first two matches in the Europa League, and the nature of some of their performances has been a cause for concern for a growing section of supporters. Koeman would obviously like more time to work with his squad in order to try to gain some cohesion but the absence of senior internationals Michael Keane and Jordan Pickford (England), Ashley Williams (Wales), Gylfi Sigurdsson (Iceland), Davy Klaassen (Holland), Nikola Vlasic (Croatia), Cuco Martina (Curacao) and Idrissa Gana Gueye (Senegal) makes that impossible. Instead he hopes the time away will give the players a break from the pressures at home and they will return in better shape for the trip to newcomers Brighton. 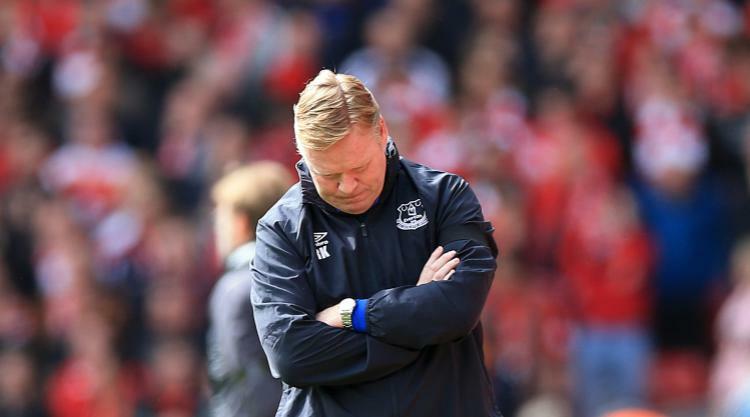 “It is all about the situation the team is in,” Koeman told evertontv. “Maybe, sometimes, it is good for everyone to freshen up. “Sometimes if you have a defeat and don’t have the players to train it is more frustrating. It is all about the result at the weekend. “Of course, you like to work with the players every day to improve the team, but maybe in this situation it is good to have an international break. I don’t know.